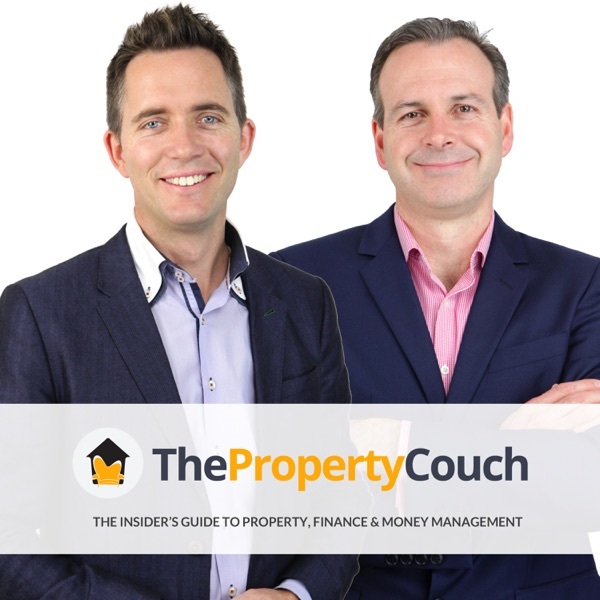 The Property Couch | Listen Free on Castbox. In a casual ‘conversational’ style, Bryce Holdaway and Ben Kingsley talk all things property investing in Australia. Each week they explore relevant and topical ideas in a fun and interesting way forming a complete guide to Property, Finance & Money Management. From which property to buy, structuring your loan, SMART Money Management habits, investing mindset, finding the right property investment strategy to tips for bidding at an auction, Bryce and Ben aim to share their knowledge with you! Here we go, folks…. Property Tax PART 2 is finally here! !So, let’s get down to the Ownership Structure, Trusts and SMSF insights you need! If you tuned into Episode 226, then you’ll know we have none other than The #1 [...] CONTINUE READINGThe post Episode 228 |Ownership Structure & Trusts with Julia Hartman – Everything You Need to Know About Property Tax (PART 2) appeared first on The Property Couch. Yes you’ve heard it right yesterday! Ben was on the Money News with Ross Greenwood! Folks, if you haven’t tune in to the Money News yet, do yourself a favor and check out their podcast. We tune in to the [...] CONTINUE READINGThe post Bonusisode with Ross Greenwood on the Money News! appeared first on The Property Couch. Bonusisode with Ross Greenwood on the Money News! Folks, let’s just say… it’s been a week!!! You know that exclusive story we shared with you in last week episode?? Well, it’s, ahh, hit the headlines… BIG TIME! Don’t know what we’re talking about? Here’s a Quick Recap… Ben [...] CONTINUE READINGThe post Episode 227 | Exposed: “Dodgy Data” Driving Labor’s Negative Gearing Policy appeared first on The Property Couch. Let’s cut to the chase folks! Yes, we are hiring. You’ve probably heard us mentioning our parent company, Empower Wealth a few times in the past. Our company is growing rapidly and we have FOUR positions available across Melbourne and [...] CONTINUE READINGThe post Bonusisode – We are hiring! appeared first on The Property Couch. Bonusisode - We are hiring! Property Tax… let’s have a real conversation about it folks! Because if we’re being honest— even with 40-odd years of industry know-how between us (and an accounting degree wedged in there as well) — there’s still a bit of property [...] CONTINUE READINGThe post Episode 226 | Capital Gains Tax 101 with Julia Hartman – Everything You Need to Know About Property Tax (PART 1) appeared first on The Property Couch. Folks, we’ve got a very FULL week ahead of us! Firstly, it’s the first Tuesday of the month which means the RBA Board has met and announced the official cash rate. And tonight at 7:30 PM (AEDT) is Budget Night! We’ll [...] CONTINUE READINGThe post RBA April 2019 Announcement – Are you prepared for what’s to come? appeared first on The Property Couch. RBA April 2019 Announcement - Are you prepared for what's to come? Yes, it’s finally here!! After weeks of teasing, we’re finally ready to release this to you! Have you ever wondered how are you performing? If you’re doing good, bad or ok compared to your peers? Well, the wait is now [...] CONTINUE READINGThe post Bonusisode – Are You Money Fit? appeared first on The Property Couch. Bonusisode - Are You Money Fit? Folks, we have a very special guest on today … Dr Shane Oliver, Head of Investment Strategy and Chief Economist at AMP Capital!! (Ben was a bit giddy, ha!) So, if you’re keen to hear the latest economic news across [...] CONTINUE READINGThe post Episode 225 | Breaking News with Dr Shane Oliver – Are We in Store for a Global Recession? appeared first on The Property Couch. Ep. 225 | Breaking News with Dr Shane Oliver - Are We in Store for a Global Recession? Folks, it’s likely that today’s guest — Turia Pitt — needs little or no introduction! Chances are, her name’s familiar to you… and that’s because Turia became a household name when, at 24, her life was turned upside down when [...] CONTINUE READINGThe post Episode 224 | Turia Pitt – From Burned Alive to Investing in Grit, Triumph and Property appeared first on The Property Couch. It’s the first day of the season and we’ve got a Footy competition this year folks! For all the AFL lovers out there, we would like to include you in our intense and engaging footy banter!! And for all the [...] CONTINUE READINGThe post Bonusisode | Our own AFL Footy tipping team and epic prizes for grabs! appeared first on The Property Couch. Bonusisode | Our own AFL Footy tipping team and epic prizes for grabs!